At the end of July, Democratic gubernatorial candidate Jared Polis announced he was going to have to miss Club 20’s September 8 candidate debate. 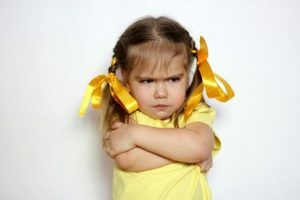 In response Club 20 took on the persona of a spoiled, whiny toddler, quickly issuing a nasty press release (pdf) that screamed Polis had — *gasp! * — snubbed it and was slapping the collective face of the entire western slope because he wouldn’t attend it’s exclusive, must-do event. Instead of attending Club 20’s exclusive event, Polis will attend an annual event in Grand Junction that is accessible to everyone regardless of their income: the Progressive Family Picnic hosted by Kennedy4Colorado and Claudette Konola, who organizes the event every year. Konola has long intentionally designed her event be open to everyone regardless of their income, and to provide a good time for whole families. That’s because Konola’s event is 100% free. No charges for parking, admission or food. Just pack a picnic, come on down, meet progressive candidates in person, hang out on the grass and enjoy the free entertainment. The picnic celebrates workers, families and values like livable wages, clean, sustainable energy, protection of the environment, affordable health care and quality public education. This year’s event is also extra-special: it’s a milestone birthday celebration for Claudette, a cancer survivor who has devoted much of her life to advancing policies that benefit western Colorado’s working people. No wonder Polis decided this was the must-attend event. You can’t be kinder or more courageous than to turn down a tradition to support a friend and make yourself accessible to regular people. Cheer up, Club 20. It’s not the end of the world. And try not to be so mean. The 2018 Progressive Family Picnic will be held at the Watson Island Amphitheater at Las Colonias Park in Grand Junction on Saturday, September 1 from 1:00 – 5:00 p.m. Everyone is welcome. Come down and meet Jared Polis, who will likely be Colorado’s next governor, and tell him in person what’s on your mind. There’s plenty of room for everyone. The Las Colonias Amphitheater accommodates 1,000 people. For those who don’t know, Club 20 charges a minimum of $25 to attend it’s gubernatorial debate — a steep cost most western slope families can’t afford. Club 20 is, also, well… pretty clubby. You’ve got to have money (pdf) to belong. Dues for individuals start at $100, and for that price individuals get only a fraction of the benefits Club 20 confers on it’s wealthier corporate members, who pay up to $10,000/year to belong. Club 20 also claims to be “non-partisan” but has long had a distinct Republican, pro-energy industry bent. Just how Republican is Club 20? It’s so Republican that the Republican Governors Association immediately started running a TV ad called “So Boulder,” that exploits Polis’ announcement that he will miss Club 20’s “must-do” debate. The ad is so deceptive, in fact, that even Fox News Channel — yes, the Fox News Channel — in Denver called it “so misleading.” When the Fox News Channel calls your ad misleading, you know you’ve REALLY gone off the rails. In addition to attending Claudette Konola’s Progressive Family Picnic, Polis also plans to attend a gubernatorial debate in Grand Junction that will be free and open to the public. That debate will be sponsored by the Daily Sentinel, Colorado Mesa University and Rocky Mountain PBS, and is currently awaiting scheduling. So who would you rather vote for: someone who panders to the wealthy Club 20 and it’s powerful corporate donors, or someone who cares about real people and the special birthday of a friend, and isn’t afraid to show it? Screen shot of the Republican Governors Association’s mean TV ad denigrating Jared Polis for attending events and debates that are free to the public. It’s not a club unless it has gender-neutral restrooms. All – you’re entitled to your own opinions. I get it – you’re mostly progressives against Club 20. Now, if you could refrain from calling names, (JPD – we all know what SOB is) and (Juanita – spell check is a good tool, and you might need a ‘safe space’ from those intimidating colors) I’m not a member of Club 20 – not particularly proud of politicians in general, and won’t attend any speaking engagements. I will, however – pay attention not to what they say they will do during a speech – but what they will do after the speaking is all done. That’s the true test, and Mr. Polis doesn’t even meet that criteria, historically. With just a bit of voting research -you’d know what Polis stands for, and reject him. I do agree that Club 20 is whining about his “snub” – they should be dancing in the streets! What specific things does Polis stand for that you think people should reject? Remember when Hillary called the right-wing ‘Deporables’ and they made with it? Well, I just bought 2 tie-dyed, Grateful Dead Volkswagon tee-shirts from Triple-play Records. 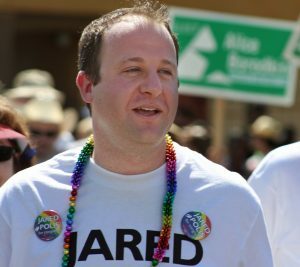 I’m using the power of the GOP ad and celebrating Jared Polis. Polis has snubbed no one. Club 20 has snubbed the majority of the citizens their original charter was meant to help. Club 20 is supposed to be a non partisan club working for the betterment of the western slope and now we find out is just the right arm of the Republican Party. Club 20 is like a Grand Junction Area Chamber of Commerce, but without a Schwenke. It is right wing Republican and exists to promote businesses, and the bigger businesses who pay higher dues get more action from them. Like the chamber, Club 20 does not exist to make life better for workers, employees, average citizens, middle and lower income people, the elderly, the disabled, students or even smaller businesses. I worked with the folks at Club 20 several years back for the duration of about 2 years. During that time I quickly learned that all of the employees were right winged and most were well off (especially for GJ). I have since always taken their directive with a massive grain of salt. Ugh…..Republicans prove again they are nasty, mean-spirited SOB’s! Like Club 20 is so important to the political health of the Western Slope! Ha! What a joke! I’ve said it before and will say it again – how anyone can vote Republican is beyond me. They have become a party of immoral, out of step, cretins. The Republican ad that is running is simply disgusting. The colors of the background t-shirts are very suggestive. One thing you can be sure of with Republicans…they have no redeaming qualities. If a Democrat were to do this kind of ad you know every Republican twitter account would be screaming UNFAIR. Excellent point. Club 20 is definitely not for all of us.